From historic rock-faces to never-before summited peaks, this stunning visual book brings to life the incredible experience of climbing hard and climbing high. Whether it is scaling the world's most challenging peaks, bouldering on epic rock faces or hanging underneath the cavernous crags spread out along the ocean, rock-climbing is one of the world's most exciting sports. From the most beautiful routes in the UK, France and America, to deep-water soloing in Majorca and opening new lines in South Africa, James Pearson and Caroline Ciavaldini, two of rock-climbing's biggest stars, take you to the sport's most iconic, unusual and daring destinations. 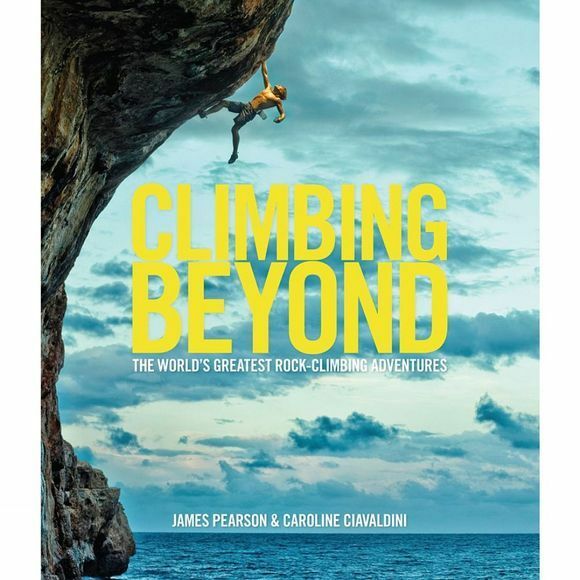 Perfect for the avid and aspiring climber, Climbing Beyond is a beautiful homage to the sport of rock-climbing and an inspiration to anyone who has ever dreamt of chalking up their hands and taking on the world's epic rock faces.